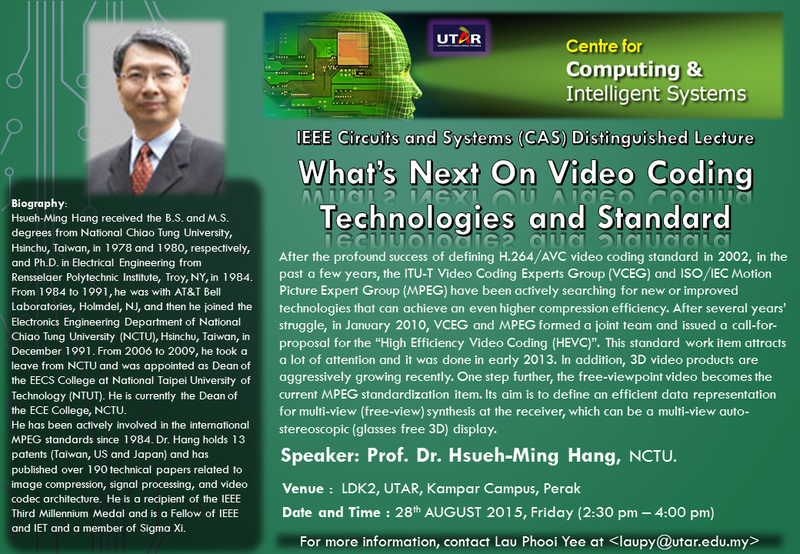 After the profound success of defining H.264/AVC video coding standard in 2002, in the past a few years, the ITU-T Video Coding Experts Group (VCEG) and ISO/IEC Motion Picture Expert Group (MPEG) have been actively searching for new or improved technologies that can achieve an even higher compression efficiency. After several years’ struggle, in January 2010, VCEG and MPEG formed a joint team and issued a call-for-proposal for the “High Efficiency Video Coding (HEVC)”. This standard work item attracts a lot of attention and it was done in early 2013. In addition, 3D video products are aggressively growing recently. One step further, the free-viewpoint video becomes the current MPEG standardization item. Its aim is to define an efficient data representation for multi-view (free-view) synthesis at the receiver, which can be a multi-view auto-stereoscopic (glasses free 3D) display.